Okay, I gotta admit, I’m pretty excited about the new Star Trek movie. I’m not a big J.J. Abrams fan, nor am I a big Star Trek fan, but from the new trailer, it looks like the new movie could be a really solid space epic. And of course, the reviews have been extremely favorable across the board. 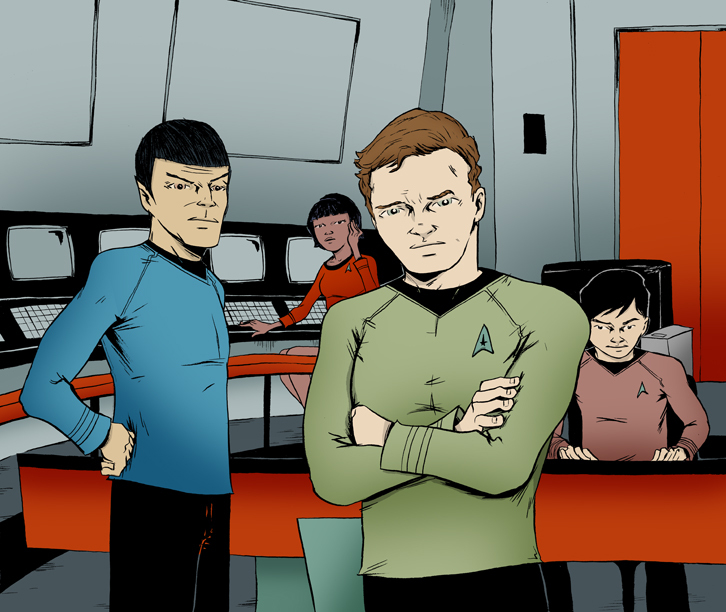 I had some free time at the end of the day yesterday and found myself sketching Star Trek pics. I decided to mix together two of my favorite publicity shots. I really wanted to feel of the classic Star Trek to come across. My only regret is that I wasn’t able to fit in more of Kirk’s boxy captain’s chair. Damn that small piece of paper. Next time I should just draw on my big bristol board, get a more panoramic feel. Anyway, psyched about the new Trek. See you at the movies! 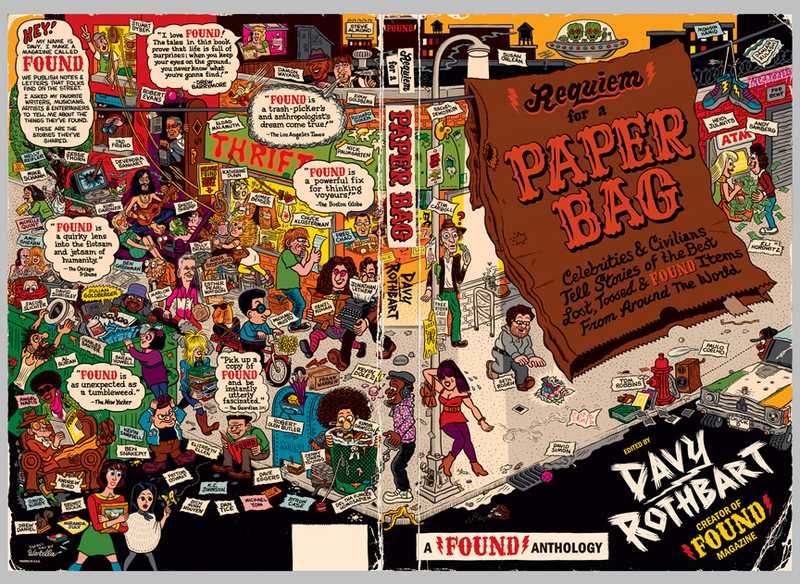 Davy from Found Magazine has a new anthology project that finally hit stores today. Wahoo! It’s called Found: Requiem for a Paper Bag. The anthology collects short essays from people who have been affected by found objects. Amongst it’s contributors are Chuck D, Del tha Funky Homosapien, Stuart Dybek, Dave Eggers, Heidi Julavits Seth Rogen, Andy Samberg and a whole lotta others. Amongst those “others” is… um… Me. Yup, I contributed a small comic. I’m wicked excited to be part of this anthology. Rock. Also, for those in Brooklyn, Davy’s on a book tour and holding an event tomorrow night. The Bell House, 149 7th Ave Brooklyn, Wed May 6 @ 8pm. $7 admission. Should be a way fun party. Hope to see some of you there. Rock.